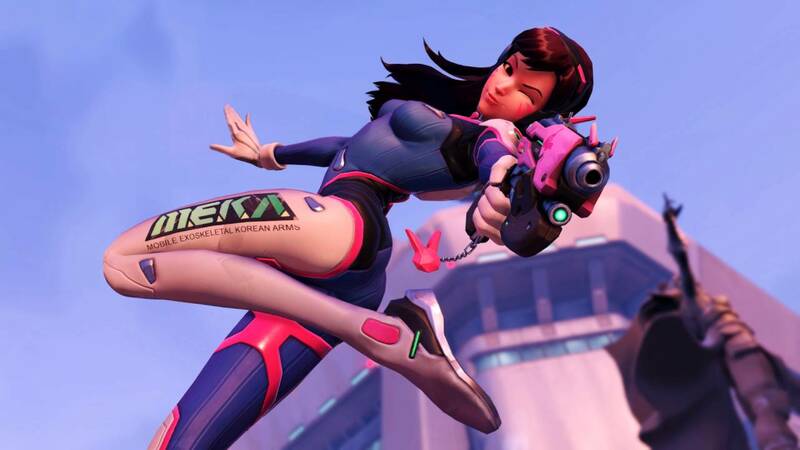 Blizzard Says D.Va Nerf Gives Her "More Legitimate Counters"
Nerfs to D.Va went live on Overwatch's PTR last week in the 1.7 update. D.Va has lost 200 armor, but has gained 200 health. Her weapon also now deals less damage - while she fires more bullets per shot (11 versus 8), each bullet does less damage (2 instead of 3). According to the patch notes, "D.Va's armor often made her feel like she had no weaknesses, even against heroes that are often effective against bigger targets (like Reaper). The changes to her Fusion Cannons will result in a small overall decrease in damage, but they should feel more consistent now." Apparently, enough players have voiced concerns that principal designer Geoff Goodman has decided to explain the reasoning behind the changes on the official forums. According to Goodman, the goal was to make D.Va weaker against heroes like Reaper and Tracer, who have faster firing weapons and shotguns. "The game is a lot healthier when heroes have strengths and weaknesses versus other heroes," Goodman explained. "As she was, it was common to hear people ask 'What do I do about D.Va?'. People often would try to use Zarya or Roadhog, since they both have the potential to deal high damage and pierce her Matrix, but even those answers were marginal at best. Heroes like Reaper that are generally supposed to be good at taking down tanks weren't very effective because of all the armor they had to get through. With lowered armor, she now has more legitimate counters and she still counters many heroes and abilities in the game, especially considering her Defense Matrix wasn't touched." Goodman also reassures players that if D.Va ends up too weak after the changes, the team will take steps to even her back out - however, that won't be done "in the form of a bunch of armor," as doing that "would just put us back the problems we had to begin with."